A candidate must possess Post-graduate Degree in Economics or Applied Economics or Business Economics or Econometrics from a recognized University. A candidate who has appeared at a qualifying examination, the passing of which shall render him/ her eligible to appear at the IES Examination, but has not been informed of the result, can also apply for admission to the examination. The IES was constituted in 1961 with the objective of institutionalising a core professional capacity within the Government to undertake economic analysis and render advice for designing and formulating development policies, strengthening delivery systems, and monitoring and evaluating the public programmes. With the initiation of large-scale economic reforms in 1991 and the proliferation of the regulatory role of the government, such analysis and advice within the domain of the service has increased manifold. The Cadre Controlling of the IES is located in the Ministry of Finance (Department of Economic Affairs). The Cadre Controlling Authority is advised, on policy matters pertaining to the service, by the high-level IES Board, which is headed by the Cabinet Secretary. The management of the service is on the basis of the service rules called the IES Rules, first notified in 1961. The service rules, besides constitution of the service, specifies the various grades and sanctioned strength therein, future maintenance of the service, appointment, probation, seniority and conditions of service. The service rules of 1961 have since been superseded by the comprehensively revised IES Rules 2008, which were notified on 6.6.2008. These Service Rules are amended from time to time in accordance with the instructions of the Government. Latest Amendment to the Rules has been notified on 18th February, 2011 following the Cabinet approval to the revised cadre structure of the service. The Cadre strength of IES is periodically reviewed by the IES Board, with the final Cadre structure of the service approved by the Cabinet. Reviews of the IES Cadre were earlier undertaken in 1991, 2000 and 2005. The latest review of the service was conducted in 2010, with the Cabinet approving the revised Cadre structure on 6.1.2011. Pursuant to this, the sanctioned strength of the IES Cadre is 511, consisting of 471 duty posts and 40 leave reserves. A distinguishing feature of the service is that its Cadre posts are spread across different Ministries/ Departments of the Central Government, numbering around 55. The service is, therefore, an inter-Ministerial and inter-Departmental service. The posts are primarily located in Ministries/ Departments dealing with economic and social sectors. Even within organizations that account for a large proportion of its Cadre posts, like the Planning Commission, IES officers posted therein serve in a diverse range of subject areas, such as finance, social sector, rural development, education, health, agriculture, industry, trade, transport, and information technology. IES officers are, thus, exposed to development issues in diverse sectors and contribute to policy-making in the Central Government over the entire span of their service career. 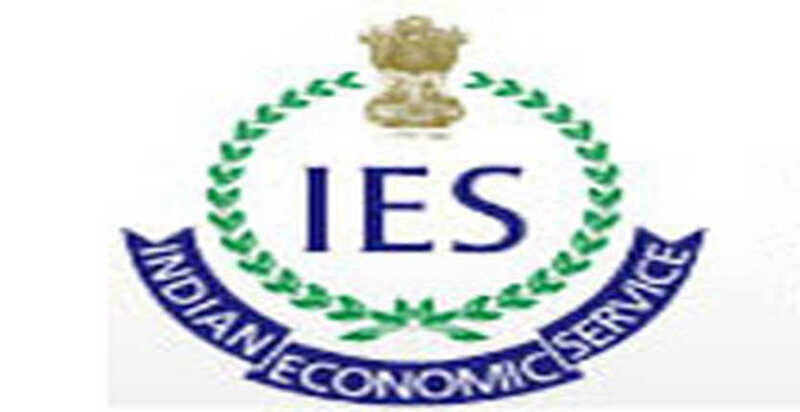 With the economic reforms having transformed the nature and domain of economic policy-making in the country, the IES, as a service, provides a pool of in-house economic expertise that is well placed to meet the growing demand for analytical economic inputs for policy-making in the government. Besides manning Cadre posts, IES officers go on deputation to serve in various domestic and international organizations such as UN bodies, foreign governments, state governments and regulatory bodies. Officers from the service are also appointed on deputation to posts in the Central Ministries/ Departments under the Central Staffing Scheme. At the entry grade of IES i.e. Junior Time Scale (Grade-IV), 60 per cent of the posts are filled through direct recruitment and the remaining 40 per cent by promotion of feeder post holders. Direct recruitment is on the basis of an All-India open competitive examination called the IES Examination, conducted by the Union Public Service Commission. Direct recruitment in the IES commenced in 1968, derived from the first-ever IES Examination that was conducted in 1967. The 40% departmental promotion quota at the entry-level is filled by promotion of Economic officers or officers holding equivalent posts recognized for this purpose as feeder grade by the Cadre Controlling Authority. Direct recruits joining the service, after being offered appointment, undergo a comprehensive probationary training comprising the Foundation course (conducted for the All India Services and the Central Civil Services), training on Economics at the Institute of Economic Growth, Delhi, and training/ attachment at various national level Institutes of repute across the country. Capacity building of serving officers is carried out on an ongoing basis by conducting various in-service training programmes suited to the officers’ needs, from the point of view of building up professional capacity at work as well as developing soft skills. The flagship in-service training programme is the mid-career training of six-week duration comprising domestic learning and foreign learning components, conducted at a reputed management Institute in the country. Officers of the service are required to participate in three such mid-career training courses at different phases in their career. Role of the service can be broadly categorized in terms of economic advice, economic administration, implementation of development policy and programmes, besides dealing with other areas such as economic reforms, regulation, price fixation, and monitoring and evaluation. In the rapidly globalizing environment, decision-making is increasingly guided by economic rationality. In view of the on-going reforms pursued by the Government, the role of IES officers has assumed much significance. Apart from the purely economic sectors, IES officers are making crucial contribution towards policy making in social sectors. IES officers are exposed to almost all the sectors of government functioning. These officers also provide link and continuity in policy-making, which is essential even for policy change. It is because of these factors that IES officers have been increasingly playing a versatile role, of an in-house economist with domain knowledge and experience. While the role of IES officers described above is broad in nature, the role and responsibilities of the officers, particularly Economic Advisers, was sought to be clearly enunciated by the Cadre Controlling Authority through its communication dated 31.8.2005. As per its provisions, Economic Advisers are required to be closely associated with and involved in the economic reforms in the Ministry/ Department to which they are posted. They would advise the concerned Ministries/ Departments, on a continuous basis, on all policy matters having a bearing on internal and external economic management, and facilitate reforms in the fields/ sectors concerned. The Economic Advisers would provide the Ministries/ Departments with inputs on all policy-related matters, and their economic implications. The officers could be required to monitor and evaluate the policy parameters from the economic angle laid down in the Fiscal Responsibility and Budget Management Act 2003, and assist the Ministry of Finance in preparing annual or any other periodical statement required for complying with the provisions of the said Act. The Ministries/ Departments could also consult the concerned Economic Adviser before finalization of their Annual Plan Budgets. To ensure that policy pursued by individual Ministries/ Departments is consistent with the overall direction of economic policy contained in the Union budget, Five-Year Plans, etc., the Economic Advisers posted to different Ministries/ Departments would interact with the Chief Economic Adviser in the Department of Economic Affairs, on a continuous basis, and ensure that economic implications of policy changes are comprehensively analyzed, and facilitate individual Ministries/ Departments to spearhead reforms in the direction envisaged by the Government. The initial steps towards formation of service can be traced to 1952. On July 26, 1952, the cabinet decided that the Planning Commission should appoint a committee to examine the question of establishing statistical cadres to serve the general needs of different ministries and if possible , of different states in the case of important posts. In pursuance of this decision, the Planning Commission appointed a committee under the chairmanship of Shri V.T.Krishnamachari, the then Deputy Chairman of Planning Commission. The Committee submitted its report in September 1953, recommending the formation of a service to be known as the Statistical and Economic Advisory Service. These recommendations were circulated to all ministries for their views. Professor Mahalnobis, the then Honorary Statistical Adviser to the Cabinet ,however did not favour the idea of a combined Statistical and Economic Advisory Service as he felt that purely economic advisory duty should not be mixed up with technical and professional work in statistics. He suggested an alternative scheme for creation of a “Central Statistical Pool”. The scheme of Prof. Mahalnobis was circulated to all the ministries on the 15th of May, 1956. Since two different schemes were expressed, the matter was referred to the Economic Committee of Secretaries, before a paper was submitted to the cabinet for its orders. The Economic Committee of Secretaries accordingly discussed the matter on the 4th December 1956 and examined as to which of the two schemes was more suitable to the needs of Government. It was pointed out that in certain Ministries like Railways, Food, Agriculture and Labour it was not merely statistics that was wanted but also economic advice. Advice on price fixation and controls, exports and imports of specified agricultural commodities and investigations of an economic character could not be had from men trained only in statistics. Nor was it considered practicable for these ministries to seek ad hoc economic advice from outside economists in respect of these matters. Orders of the Cabinet were solicited on whether a combined Economic and Statistical Service should be constituted as recommended by Krishnamachari Committee or whether two separate services should be formed as recommended by Economics Committee of Secretaries. The Cabinet in its meeting held on 12th Feb 1958 decided that two separate services should be formed; a Statistical Service and other an Economic Service. It was further decided that the control of the two services should vest in the Ministry of Home Affairs. On 23rd August 1958, a Committee chaired by Cabinet Secretary, decided on the draft rules regarding the Statistical/Economic services. The rules for the two services were to be published separately and an independent board was to be set up. The Indian Economic Service was constituted on 1st November 1961 and the Service Rules were notified on the same date. The actual operationalization of service took place in 1964 by induction of a number of officers who were then holding posts which were identified as posts carrying work relating to economic analysis. Direct recruitment to the service through all India competitive examination conducted by UPSC started in 1967. The first batch of direct recruit officers joined in the year 1968. The Indian Economic Service is an inter-ministerial service. The Indian Economic Service has also spread out to a number of departments in the last fifty years. The number of ministries / departments have increased from 10 in 1979 to 55 in 2011. The Indian Economic Service Officers have contributed significantly in these years not only in cadre posts but also in State Governments and regulatory institutions. Officers have served in the states of Madhya Pradesh, Tamil Nadu, Goa, Karnataka, Nagaland, Andhra Pradesh, Meghalaya, Haryana and Uttar Pradesh. Officers have also served in organizations like Telecom Regulatory Authority of India, Competition Commission of India, Central Electricity Authority, Insurance Regulatory and Development Authority, Finance Commission etc. Provision of information on service-related matters to applicants under the RTI Act 2005.